How do you become a pastor? Let’s not get ahead of ourselves. We need to ask a different question first: Why do you want to go into the ministry? I mean that if you can do something else, do it, rather than going into the pastorate. Why? Because without an overwhelming passion to become a pastor, you will not survive the first few years of ministry. 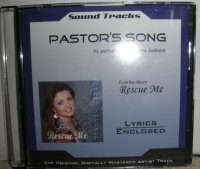 See my other site for some examples of how hard ministry is: PastorBurnout.com . Still want to become a pastor? Then read on. So, you weren’t scared off by my warning above. You really want to become a pastor. If so, there are four steps you need to take. They may not be taken in the order that follows. But all of them need to be in place before you can consider yourself a pastor. Called by God. I remember the first time I truly believed that God was calling me to be a pastor. I was listening to a man preach at my Christian high school graduation. I don’t remember what he said, but right there God impressed it on me that I should be a preacher of the gospel. It took me two more years to really confirm and submit to that call. But I knew that God called me to ministry. Do you sense a call of God on your life? Knowing that God called you to ministry will carry you through difficult times when you just feel like quitting. So how do you know if you are called by God? There are several ways you can discern if God is calling you to pastoral ministry. First there is the internal witness. That comes in the form of an unquenchable sense that God wants you to be a pastor. It shows itself by a passion to be a pastor: a passion that doesn’t go away after a few weeks. The second internal witness is that you have a passion for God’s Word. You can’t get enough of it. You crave studying it and sharing it with others. Third, you have to have a growing love for people – both the lost and the saved. A passion to preach is not enough. You have to have a developing love and compassion for people. There are thousands of great teachers and preachers. But there are far fewer people who also love people. Churches need teachers and preachers in Sunday School classes, to substitute for pastors when they are out of town. You don’t have to be a pastor to preach and teach. But if you want to be a pastor, you will also need to love people. There are also external witnesses that can help confirm God’s call on your life. First, there is the witness of others. People who know you start telling you that you might want to become a pastor. They tell you things that show they respect your character. Your pastor or other church leaders take note of your gifts and skills. 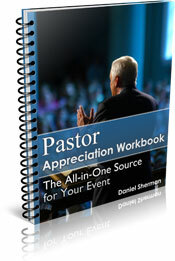 You can even talk to your pastor about your passion to become a pastor. Ask him if he sees that potential in your life. The second external witness is, if you are married, your spouse is completely sold out to the idea. It is impossible to be a pastor if your spouse isn’t fully in favor of it. Third, there are circumstances that confirm that you should be a pastor. Sometimes the circumstances are not very obvious. But the accumulation of different circumstances will point to God’s will: either becoming a pastor or remaining a lay person. The second step you need to take towards becoming a pastor is training. This typically results in going to college and probably seminary. I pastored after I graduated from college. We had a good ministry without seminary. So it can be done. But I also pastored after I graduated from seminary. And the difference is astounding. I was much more prepared to pastor after I went to seminary. Third, you will be called by your home congregation in the form of Ordination. Ordination takes a few steps. One, you will prepare for your ordination council by studying doctrine. Take your church doctrinal statement and study it. Use it as an outline for deeper studies. Read up on basic doctrinal issues, like the trinity, salvation, sin, sanctification, eschatology, the church, etc. Be able to turn to various Scripture passages to support your statements. Then you will have an Ordination Council. Your pastor will invite a number of ordained pastors and/or educators. They will ask you many questions, usually taking several hours. After it is over, you will leave the room while the Council discusses your answers. When you return to the room they will give you their verdict: either you are worthy of ordination or you are not yet ready. If the Council recommends you for ordination, then your congregation or church leaders will need to vote to ordain you. If they approve, you will then have a special ordination service at your church. The church leaders will literally lay their hands on you as they pray for you and for your future ministry. You will be called to serve as pastor of a church. The last step to becoming a pastor is having a congregation select you to be their pastor. This typically involves several steps. First, you prepare a resume. Then you send your resume to churches seeking pastors. Churches will probably want more information, so they will send you a questionnaire to fill out. After you return the questionnaire they will deliberate. If they are interested in you, they will call you to fill the pulpit at the church just so people can get to know you. If they like you after you fill the pulpit, they will invite you back to candidate for the position. There will be multiple interviews by the church leaders and an open question and answer time with the congregation. You will return home, and the congregation or church leaders will decide your fate. They may or may not decide to hire you as their next pastor. If they do, they will then present you with an offer of employment along with a proposed financial package . As you can see, your choice to become a pastor is a lengthy one. But it is the process itself that will prove whether or not you should be a pastor. The process weans out those who aren’t committed or called. There’s no shame in deciding that you are not called by God: better to know that now then later. What exactly does a pastor do? You may be wondering what you will be doing as a pastor. As you become a pastor, take a look at this pastor job description .